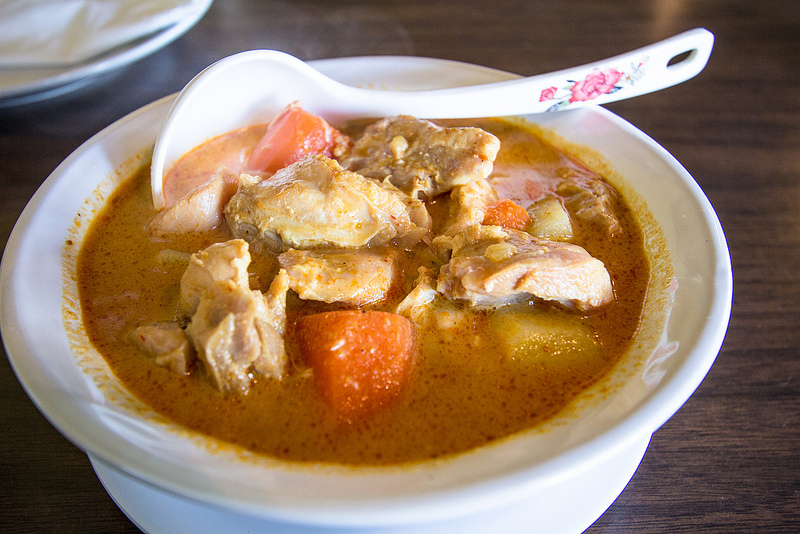 Chicken curry simmered with potatoes, carrot in yellow curry paste, Cambodian spices and coconut milk. The curry wasn’t spicy as most Thai or Indian curry dishes are, but the taste of coconut milk was there. Great blog. Thanks for the pictures of Khmer food! Looks delicious. “..less chilli, sugar and coconut cream are used for flavor” I find this very true when comparing to neigboring countries. The ingredients are there for taste and they complement or fuse each other so well without one overpowering one another.